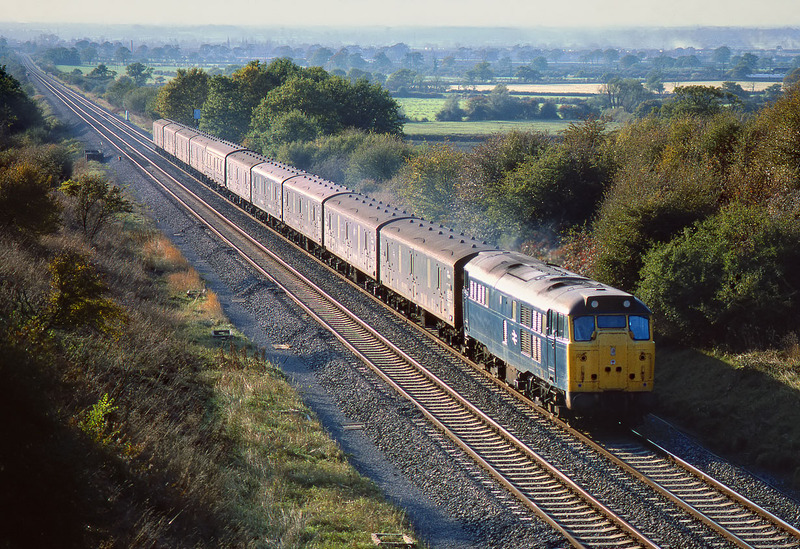 31167 climbs Dauntsey Bank at Tockenham Wick on 29 October 1983 with the 3A03 13:40 Bristol Temple Meads to Paddington premium parcels service. Not exactly 'premium' in terms of speed, as this train took approximately twice as long to complete its journey as a passenger train at the time. A good load for a 31 (depending on what's in the parcels, of course! ), this would have been making quite a racket as it tackled the 1 in 100 bank.